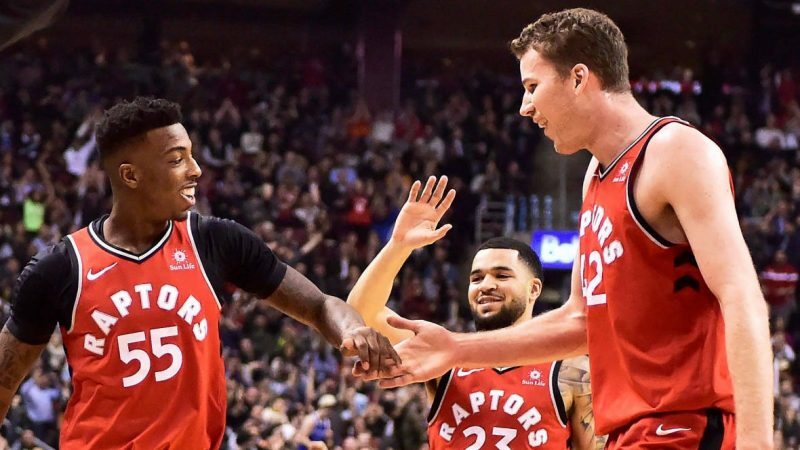 The Toronto Raptors have had a strange history in recent years that has yielded regular season affirmation and postseason agitation. During the season’s first 82 a sense of hope for the future permeates through The 6, only to see the team sent back to prehistoric times, usually by the league’s Blade Runner LeBron James. After last season’s dispatching by James, the Raptors decided to invoke a self-imposed intervention. They asked themselves hard questions about their starters, their bench, their offense and even their coach. Ultimately they decided to change course by changing their offensive philosophy while keeping much of the roster intact. It was a risky plan highlighted by the need to develop young players off of their bench throughout the season. Kyle Lowry and Dwane Casey said in training camp that success was ultimately going to be tied to the nonhousehold names of Fred VanVleet, Pascal Siakam, Norman Powell, Delon Wright and others. The best-laid plans don’t often come together, especially when those plans involve relying on youth to achieve success. However, the Raptors were successful in their bench’s player development boasting the league’s best point differential of +10.4 when their reserves were on the floor. The not so originally named “Bench Mob” was also fourth in bench scoring at 41.8 points per game during the regular season–a vast improvement from their “Bench Slobs” averages of just 31.8 a season ago. Bench play isn’t all about scoring and what Toronto’s reserves have is a collective chemistry amongst themselves and with their predecessors that start each game. The energy of guys like Siakam and Poeltl, and the toughness of VanVleet and Wright, give this team an advantage they haven’t had before. The question coming into the playoffs is if they could be trusted in their new roles when the lights were the brightest. One thing that can be seen as “glass half full” is that the bench stayed comfortable all season long never really being asked to do more than necessary. For the most part, Toronto’s roster has been healthy allowing for the consistency in roles that many elite teams have lacked this season in particular. In that, they have developed a significant trust and reliance on VanVleet who has closed games with the Raptors starters multiple times this season. The second-year guard averaged 10 fourth-quarter minutes per game post All-Star and has proved valuable by being another competent playmaker on the floor. If the Raptors can continue their fortunate ways, then a deep playoff run should unveil itself garnering the northerners respect from casual fans and those who have been leery about their legitimacy.